High quality articles will also generate more incoming links to your website, strengthen your brand, and increase loyalty from readers, existing customers, and potential customers. I have been writing online and working online since 2000, however it was not until 2006 that I started actively blogging. It became quickly apparent that blogging was something that I enjoyed as I wrote every day and was passionate about the topics I was covering. Like every aspiring blogger, I made a lot of mistakes along the way. It took me years to realize what generated traffic to my websites and what did not. However, I believe I have become a more competent blogger because of this experience. In this article, I would like to share with you some tips on how you can use a blog to increase the volume of traffic to your website. I hope you find it useful. Your blog should present the professional image that you want to project to readers. This will reinforce your brand, increase credibility, and help increase leads and sales. One mistake many bloggers make is to place too many advertisements and non-essential images on their blog design. Many visitors will find this intrusive and click the back button before even reading your articles. If the aim of your blog is to increase traffic and increase conversions, you should ensure your website design is both beautiful and practical. Choose a professional blog design from a company such as StudioPress to ensure that your blog looks great on all devices. 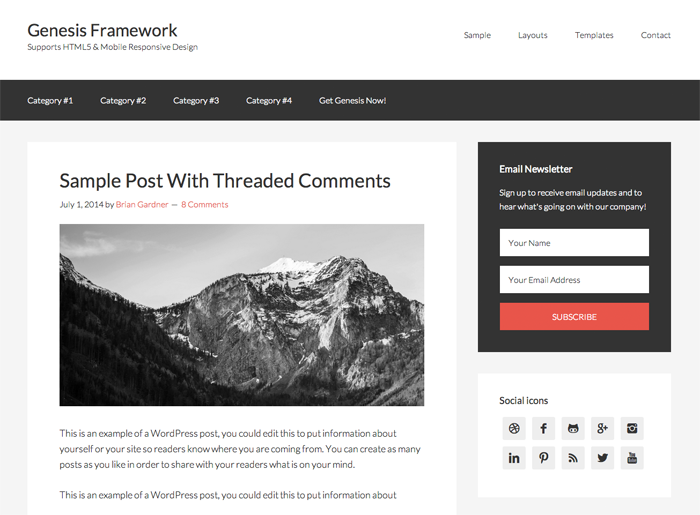 Your blog design should be responsive so that it looks great on desktop and laptop computers, as well as smaller devices such as tablets and smartphones. You should also use a font that is easy to read. The sidebar is the perfect place to help visitors navigate your blog easier. Take advantage of this area and display a search bar, category links, and archive links. To encourage people to stay on your website longer, you can display recent blog posts, featured articles, and related articles. A good place to display related articles is underneath the blog post. Your website does not only need to look good for humans, it needs to be easily interpreted by search engines so that they can crawl and index your content efficiently. Thankfully, the WordPress platform is an SEO friendly solution that has built in SEO features such as custom page slugs. It is important that your website is structured correctly to help your content rank well. Your website theme should use header tags correctly in templates, validate with no HTML or CSS errors, and take advantage of additional navigation features such as breadcrumb navigation links. Infinite SEO is a premium SEO plugin that has great post integration and an option for creating sitemaps. Search engine plugins such as Infinite SEO and All in One SEO Pack can be used to optimize your pages further by optimizing page titles and meta descriptions. Many SEO plugins can also be used to create a sitemap for your website. If your chosen SEO plugin does not offer this functionality, you may want to consider activating the free WordPress plugin Google XML Sitemaps. It gives you full control over what search engines should index and the frequency in which pages are crawled. Without doubt, it is by far the most flexible sitemap solution available to WordPress users. The topics you cover on your blog will influence the kind of people who read your articles. If you publish many basic tutorials on a subject, you will attract a lot of beginners. Likewise, if you publish advanced tutorials, you are more likely to attract people with more experience on the subject. It is therefore vital that you research what topics to cover on your blog and devise a long-term content strategy. This will generate targeted traffic from people that are more likely to subscribe to your blog and purchase your products and services. One way to increase traffic to your blog is to cover topics that are currently popular. Services such as Google Trends make it easy to follow trending topics and let you see what is hot and what is not. 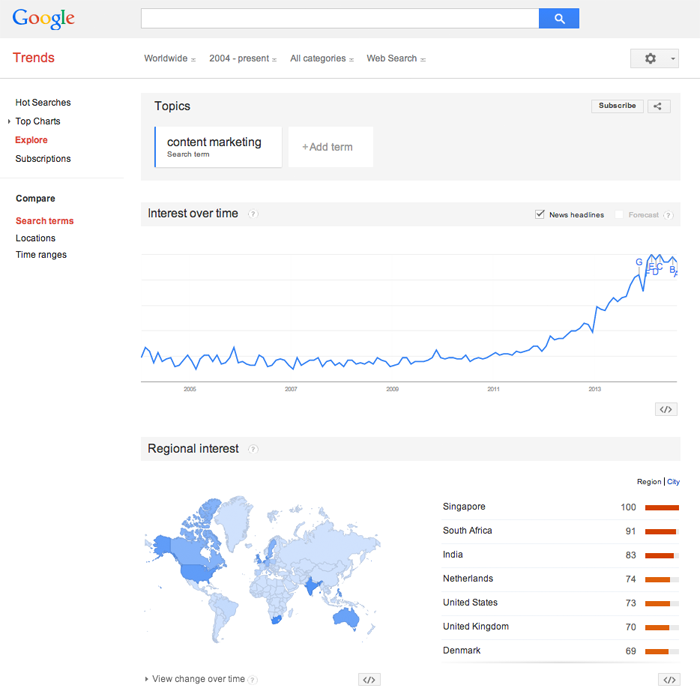 Google Trends helps you see what the interest in subjects over time. Be sure to review what keywords and key phrases are relevant to your business. You can do this by analyzing the traffic to your main website and looking at what keywords and key phrases are generating traffic. Keyword research tools such as Keyword Tool, WordTracker, and the Google AdWords Keyword Planner, can also be used for your research. One of the most effective ways of doing keyword research is by looking at how your competitors are generating traffic. There are a number of great tools that will show you exactly how your rivals are acquiring traffic. This includes the keywords and keyphrases they are ranking for, the websites that are linking to them, and the articles that are receiving the most traffic. Looking at how your competitors are generating traffic will help you decide how to develop your blog in the future. Most website analysis solutions that show you information about competitors charge a monthly fee to use their service. However, they allow you to use a limited version of their service free of charge. 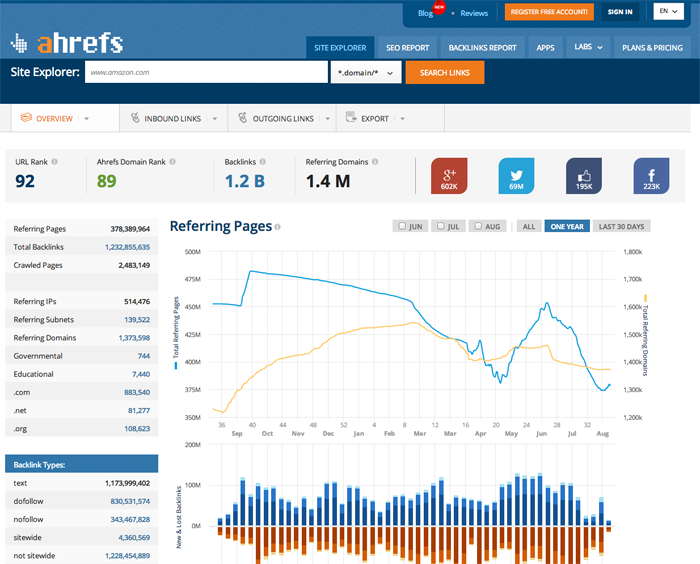 Useful website analysis services include Moz Open Site Explorer, Search Metrics, Ahrefs, and Majestic SEO. In January 1996, Bill Gates famously said that “Content is King“. This remains true 18 years later. High quality articles are more likely to be read and more likely to be shared by others. This in turn increases incoming links and search engine traffic. Do not look at a blog simply as a way of increasing the number of indexable pages on your website. You need to focus on quality content. Remember, the more targeted your visitors are, the more likely they are to purchase your products and services. So focus on quality and forget about cheap traffic that merely inflates traffic statistics. Be sure to include images in your post. Images break up long pieces of text and increase the number of shares on social media networks. The best advice I can give to anyone who wants to increase traffic to their blog is: Solve problems. If you can help your visitors in some way, they will be thankful. They will be more likely to subscribe to your blog, share your content, and become a loyal customer. You do not have to handle all blog content yourself. There are many professional bloggers available who will help you publish great content on your website. You can place advertisements for a blogger on job boards such as ProBlogger and BloggingPro. Freelancing marketplaces such as Freelancer and PeoplePerHour are great places to find bloggers too. 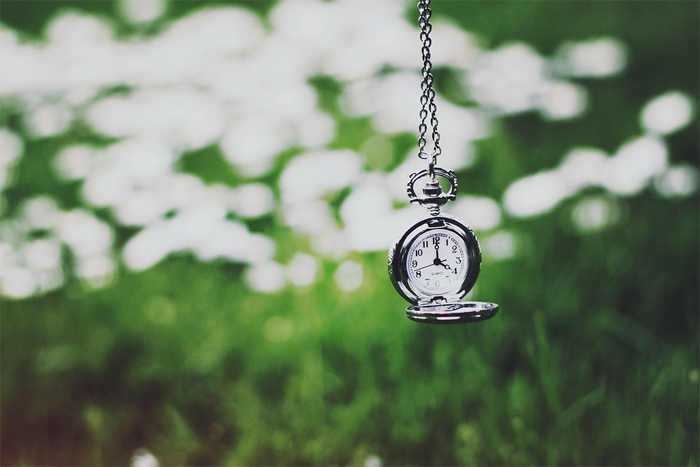 There are varying thoughts as to how frequently you should publish articles on a blog. Most high traffic news blogs publish multiple times per day as more news means more traffic, however most businesses publish a few times per week or a few times per month. If we make the assumption that every article on your blog will be of the same quality, publishing more frequently will generate more traffic; however, this does not necessarily mean that more is always better. As Joel Friedlander rightly says, what is important is that you pick a schedule that you can actually keep, long term. Readers need consistency, and publishing five articles one week and then not posting for another month, could do your blog more harm than good. I suggest starting off at a slow publishing rate such as once per week and then increasing publishing frequency once you have the resources to do so. 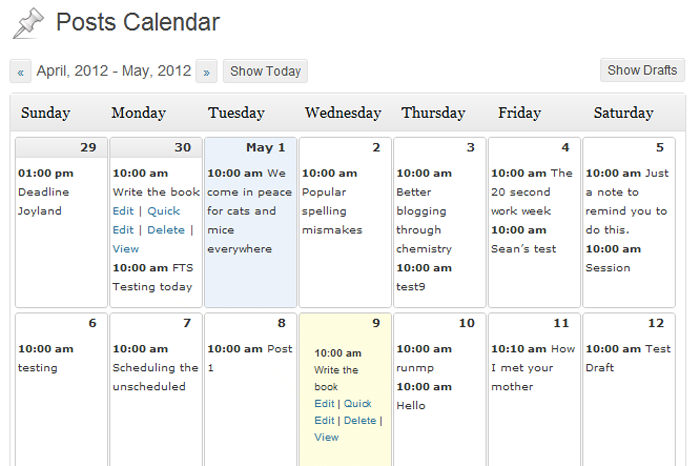 Editorial Calendar makes it easy to organise your blog posts for the coming weeks. To help you organise your blog better, it is worthwhile scheduling one or two weeks of articles in advance. I recommend activating the WordPress plugin Editorial Calendar to help you do this. Not preparing articles in advance will make your blog more susceptible to your blog publishing frequency being disrupted due to unforeseen circumstances; such as one or more of your authors being ill or not meeting their deadlines. Blogging is not a one street. A blog gives you the opportunity to get to know your readers better; and vice-versa. One of the best places to connect with readers is through the comment area. By answering questions and responding to commenters ideas, you can demonstrate your knowledge of a subject and build a relationship with potential customers. I believe there are many positives to responding to readers comments, however if you do not have time to respond to comments, you may want to consider disabling comments. As not responding to questions from people may give a bad impression of your business. It is important to interact with readers in the comment area. You can also interact with readers through social media services such as Twitter, Facebook, and Google+. Surveys and reader interviews are also a great way of getting to know your readers better and sharing the ideas of readers through your articles. Do not take your readers for granted. The more you put into connecting with your readers, the more likely customers will convert into paying customers. Social media networks are a tremendous source of traffic. Unfortunately, delivering high quality articles is rarely a guarantee that they will be shared on services such as Twitter. If you want to increase the number of times your articles are shared, you need to make it easier for visitors to share your content. The best way to do this is to integrate social media sharing buttons into your content area. Make it easy for visitors to share your content by displaying social media sharing buttons. There are a number of great social media WordPress plugins available that help you do this, such as Shareaholic and Simple Social Share. Here on WPMU DEV, we display social media sharing buttons at the left hand side of articles using the WordPress plugin Floating Social. The plugin ensures that the sharing bar scrolls down with the page so that it is visible at all times. This helps increase shares. Every time someone visits your blog, you are presented with an opportunity to convert a one time visitor into a long term subscriber. Encourage visitors to subscribe your blog RSS feed and follow you on social media services. This will help them be notified of new updates on your blog. The most effective way of growing your online presence is a targeted email marketing list. It is more effective than RSS, Facebook, Twitter, or Google+. You should therefore take every opportunity you can to convince visitors to get updates by email. This allows you to send visitors messages directly to their inbox. You can use this to promote products and services and advise subscribers of your latest blog posts. Encourage your readers to subscribe to future updates of your articles by email. By getting people to subscribe to your blog, you can keep them returning to your blog on a regular basis. This in turn helps increase traffic and generate more sales. If you can convert visitors into subscribers, you will grow your online presence and help your blog grow exponentially. 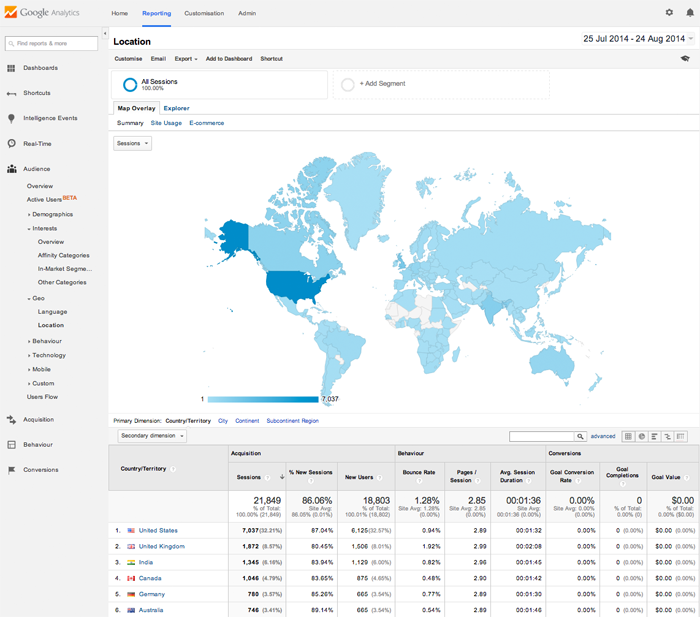 Analytical solutions such as Google Analytics can tell you a lot about your blog. They can show you what articles are receiving the most views, what keywords and keyphrases are bringing in visitors, and how many visitors your blog is receiving every day. They can also tell you more about the people who visit your blog; such as the language they speak, the country they live, and the device they are using to read your website. This information helps you understand who your readers are and whether your existing content marketing strategies are working. Look at your existing traffic to get an understanding of who is visiting your website and how traffic to your website is being generated. It can be tempting to check your traffic statistics every day if traffic is growing, however this can be counter productive. I recommend reviewing your traffic stats every week, every fortnight, or every month. Set yourself targets and then review whether those targets have been met. Do not be too disheartened if you fall short of expectations. Some months you will not meet your targets, some months you will exceed them. The important thing is to use targets to drive your blog forward with the correct content and promotion strategy. Promoting a blog effectively can be the difference between a dead blog and a successful blog. If you have money to invest in your blog, you could develop your blog quicker by growing your social media presence and advertising on other websites. Thankfully, for those of you without a budget, there are a number of promotional methods available that will not cost you a penny. One of the most popular free blog promotion methods is guest blogging. By writing articles for high traffic and well respected websites, you can raise awareness of your brand and your blog. The incoming links that are displayed in your author bio will also increase incoming links to your blog; which in turn increases your ranking in search engines. Rafflecopter is one of the best ways to host a competition on your blog. One of the best ways to promote your blog is to let others do it for you. This can be achieved by publishing great content and developing useful resources such as free online tools. For example, WPMU Dev publishes lots of great tutorials free of charge in our manuals section. Competitions are also a great way of letting readers promote your blog for you. Competition services such as Rafflecopter, for example, allow people to enter a competition by sharing your article on Twitter or Facebook. Entries can also be made by commenting on your blog or signing up to your email newsletter. Commenting on popular blogs is a technique that many bloggers use to promote their new blog. I am sure you have heard of it. While this can raise awareness of your blog, it is rarely the most effective use of a blogger’s time, therefore I advise you to promote your blog using alternative methods as you will get a better return. Unless you have a large budget for an advertising campaign to promote your blog, it is going to be many months before your blog establishes a readership. It may even be years until your blog makes its mark on the web. Do not be alarmed by this. Be patient and focus your energy on delivering quality content and your blog will be successful. It can takes months to establish a readership for your blog and start generating good traffic. I hope you have enjoyed this look at ways to increase traffic to your blog. 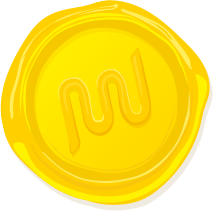 If so, I encourage you to subscribe to the WPMU Dev newsletter below to get free updates of our latest articles. What’s your favorite technique for increasing traffic to your blog? Please share it with us in the comment area below.